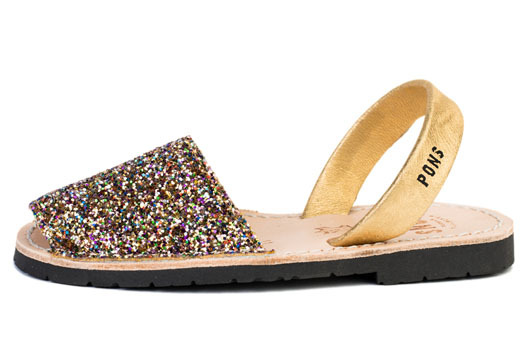 Everyday is party in these fun, glittery sandals! 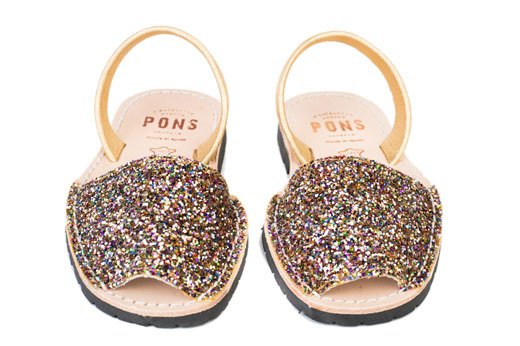 Our Classic Style Pons for kids in Multi Color glitter are the perfect sparkle to bring to any party or any day of the week. Our kids avarcas are handmade in Spain and produced with all natural leather and a lightweight rubber sole.